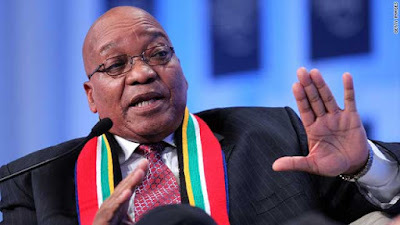 South Africa’s opposition parties would embark on a national march to the Union Buildings next week as part of their ongoing efforts to remove President Jacob Zuma from power. Leaders of the Democratic Alliance (DA, the United Democratic Movement (UDM), Inkatha Freedom Party IFP, United Christian Democratic Party (ACDP), Congress of the People (Cope) and the Economic Freedom Fighters (EFF) held a meeting in Johannesburg. “What we are saying in the short term, is that we are working to remove Zuma. All of us are fully behind [a] motion of no confidence against Zuma. This is not an academic exercise…we’re serious about this, this is why we came together collectively because we choose South Africa,” Mmusi said. The leaders said they were confident their various ways of trying to unseat Zuma would be fruitful.